Will this damage my phone?? (my electric lighter idea)? i have an idea here that i want to make an electric lighter (for cigarette) . 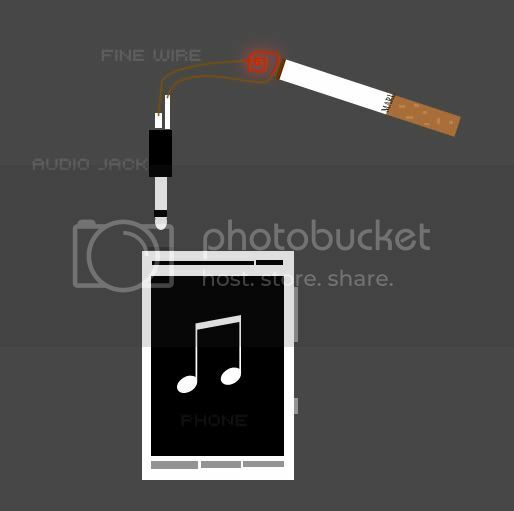 plug the audio jack to my phone, play some music then the fine wire will glow (hot) to ignites the cigarette . Sorry if my english is bad . It will probably damage your phone, but it isn't going to light a cigarette, for sure. Stop smoking or buy a decent-lighter.